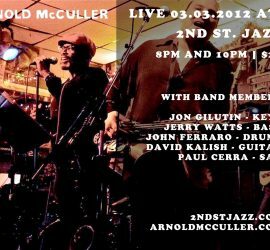 JT’s pal Arnold McCuller will be performing two shows at 2nd Street Jazz in Los Angeles on March 3. See ArnoldMcCuller.com for details. The Captain Greybeard Blog has a mid-voyage report on JT’s transatlantic crossing on the Queen Mary 2. Also, Arnold McCuller has posted a few shipboard photos to Facebook. Our old friend, JT’s background vocalist Arnold McCuller joined us for a live chat earlier tonight. Thanks, Arnold! You can read the log of the entire chat on the Text page. 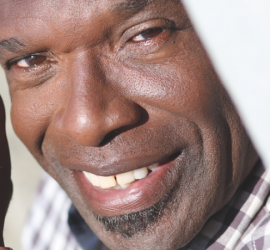 JT’s background vocalist Arnold McCuller has recorded a new Latin jazz solo CD called “Sabor.” It’s now available to order via Amazon and will ship on June 24. You can read more at Arnold’s MySpace page.